And how we have been stuck in fear! February pushed all the buttons for us to keep releasing old emotions and habits. But, we felt unable to move or make a conscious choice to move out of it. 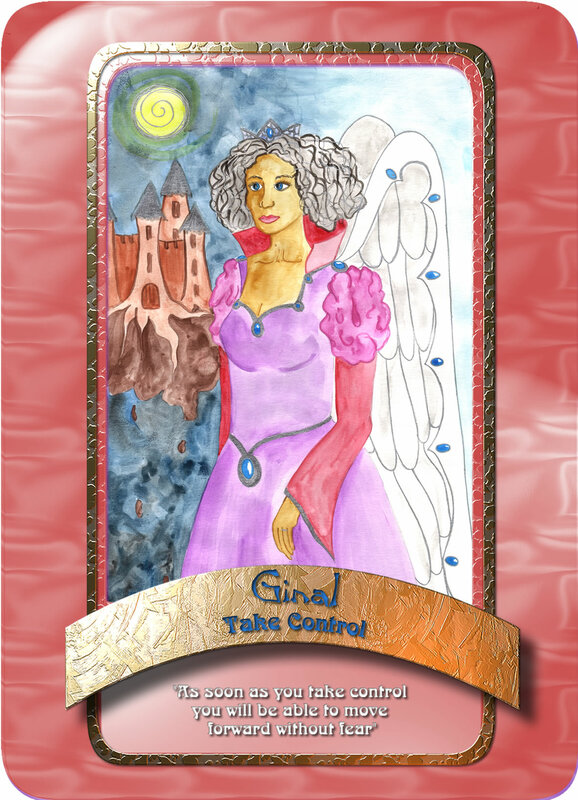 This is what Angel Ginal comes to tell us: the energy is shifting and we will soon be able to take control of our emotions and the way we view difficult situations again. For now it is so important to just stay present in the moment. Do not let fear overwhelm or overpower you. Get the stress and anxiety tablets if needed, do the breathing exercises, go walking, read a relaxing no-brainer book. Anything to help you take control in the moment and that you don’t get lost down that black hole. Allow the support that shows up. Mind chatter can be very dangerous and destructive right now, so take control of that by putting an action plan in place. Meditate. I just posted 2 free meditations on SoundCloud. Take the time to listen and invest in yourself. Soon, I’ll be starting with a 21-day meditation journey, where you can join in by subscribing. Watch posts this week for details. Look at other ways that you can keep yourself sane. Spend time in nature as much as possible and talk to the friends that are offering to listen. March promises to bring something new. Be careful not to label what you think it should be, but rather ask the angels to help you notice all the new beginnings that you might miss, because you are stuck in wanting to change a difficult situation. As difficult as it might be now, it may be part of the transformation to help you notice the other new beginnings and opportunities that are entering your space. I found that almost nothing gets me exited anymore. Stimulate this with what feels right in the moment. Put yourself first. Let go of competition so that healthy partnerships can enter your life. Use this week to keep acknowledging what you desire and let go of things and emotions that still blocks this path. If you need to, get help. Go for hypnotherapy or regression therapy and get unstuck. Focus especially on something that gets you exited when you visualise it. Bring fun into it. This rebirth is about leaving old patterns behind. Embrace it. (Listen to my Rebirth meditation on SoundCloud). Enter your email address to subscribe to Belinda's weekly Angel Messages and receive notifications of new posts by email.